10,980 total shares. Be the next! 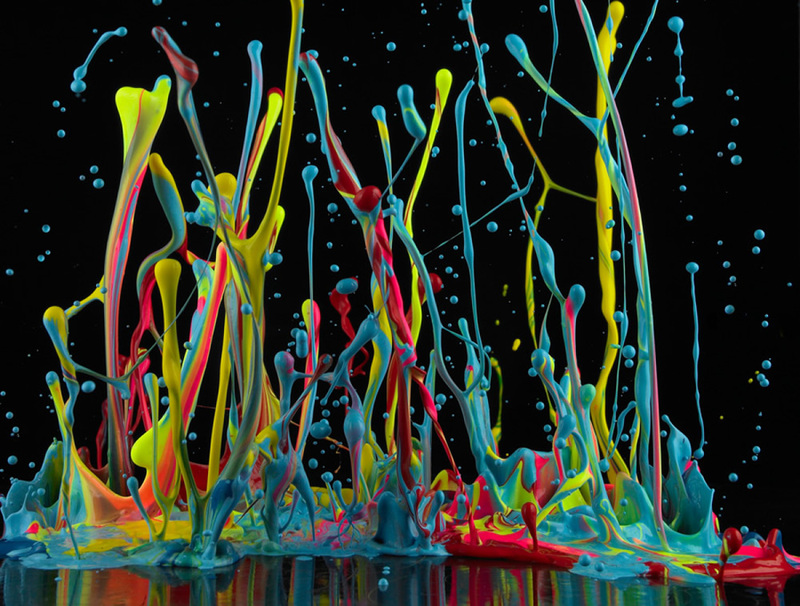 Martin Klimas describes himself as Jackson Pollock entering the third dimension. 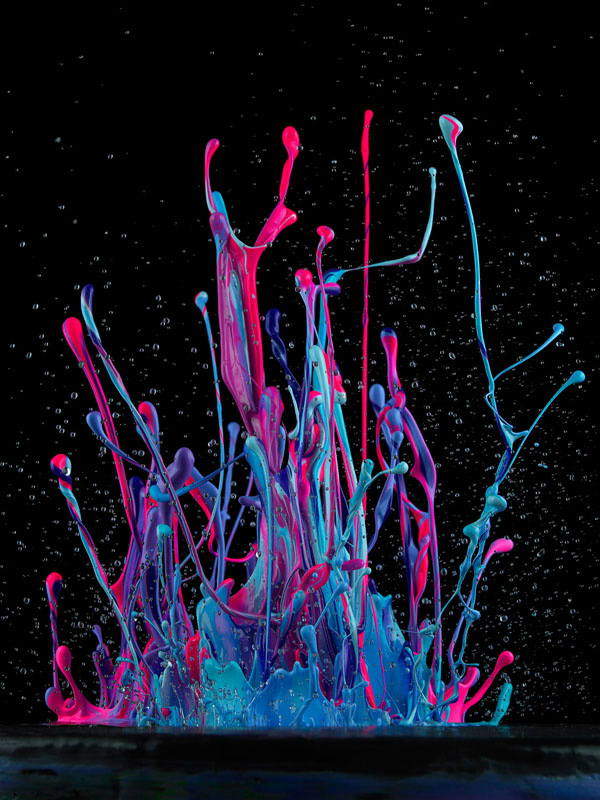 He begins his work by spattering fuchsia, teal and lime green paint on a scrim over the diaphragm of a speaker. Then he turns up the music, typically dynamic and percussive like Karlheinz Stockhausen, Miles Davis or Kraftwerk, and lets the vibration of the speaker send the paint aloft in patterns that reveal themselves through the lens of his Hasselblad. Four years ago he created a series of photos that captured porcelain figurines just as they shattered. For this series, Klimas spent six months and about 1000 shots to produce the final images from his studio in Düsseldorf, Germany. In addition to the debt owed to abstract expressionism, Klimas says his major influence was Hans Jenny, the father of cymatics, the study of wave phenomena. His current practice is an attempt to answer to visualizing music. Amazing! What kind of paint--oil? What is the scrim? I am fascinated by this technique. so cool...will def share this with my students..
love it, and I don't care for Mr Pollack much! TRULY AMAZING USE OF SOUND & COLOUR.